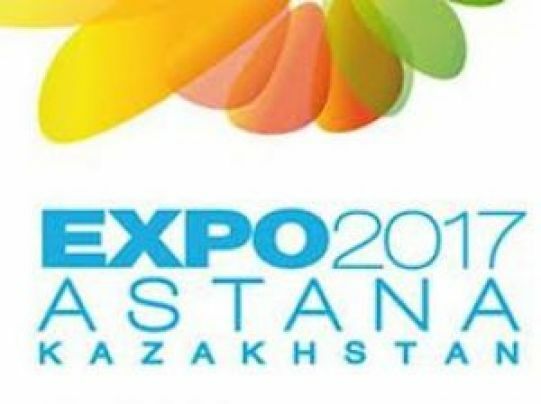 In accordance with the results of a secret vote of the representatives of the member states of the International Exhibitions Bureau, Astana was chosen as the venue to host the International Exhibition «EXPO - 2017". The main topic of the World Exhibition is the “Future Energy”, which is dedicated to alternative energy sources and "green" technologies, the agency reports. As it turned out later, the city of Liege in Belgium, with the topic named "Connecting People”, was the main opponent of Astanaduring the final vote for the right to host the World Exhibition EXPO 2017. The EXPO 2017 will be the first ever international exhibition, which will held in the countries of Central Asia and the CIS. The exhibition will be open in Astana for the period of 3 months - from June, 10 to September, 10 2017. It is expected that about 100 countries and 10 international organizations will be taking part in the exhibition. Moreover, it is estimated that more than 5 million people will visit the exhibition. It will be a big step towards the promotion of Kazakhstan in the international area. According to the official sources, the EXPO 2017 will serve as an additional incentive for economic and infrastructural development of both the capital and the country as a whole. Furthermore, the exhibition will help to attract some significant investments towards the construction of special facilities for the exhibition and towards the capital infrastructure development. Thus, it will help to create thousands of workplaces and to develop the system of domestic tourism, while also to increase the inflow of foreign tourists into the country. In the end, it will help to mobilize the economic and social resources of Kazakhstan. The exhibition will introduce the world to the multi-ethnic culture, ancient history, art and traditions of Kazakhstan, while it will also help to increase the awareness of the country as well as to strengthen the tourist appeal of Kazakhstan in the international community. So, in general, it will be a powerful catalyst for the development of the region and the country as a whole.